/Licensing /Which Stock Art License(s) Do I Need? Printed PROMOTIONAL media that is NOT FOR SALE. This includes product packaging, catalogues, brochures, seasonal greeting cards, post cards, flyers, and posters. Yes (499,999 units maximum) 500,000 or more units requires Unlimited Print Runs extended license. Designs used for physical media including CDs, CD packaging, DVDs, DVD packaging, printed books, book covers, commercial films, movies, and theatrical presentations. Yes (499,999 units maximum) 500,000 or more units requires Unlimited Print Runs extended license. Editorial media including printed magazines, newspapers, editorials, and newsletters. Yes (499,999 units maximum) 500,000 or more units requires Unlimited Print Runs extended license. 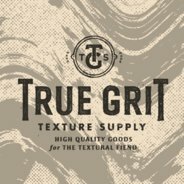 Creating products FOR SALE. This includes, but is not limited to, prints, posters, calendars, stationery, clothing, t-shirts, hats, video games, etc. NOT COVERED Requires Items for Resale extended license. Also, 500,000 or more units requires Unlimited Print Runs extended license. Electronic design templates FOR SALE. This includes, but is not limited to, website templates, application templates, business cards, brochures, greeting cards, etc. NOT COVERED Requires Electronic Items for Resale extended license. Also, 500,000 or more units requires Unlimited Print Runs extended license. Installation on more than two (2) personal, portable or business computers/workstations. NOT COVERED Requires Multi-Seat extended license.